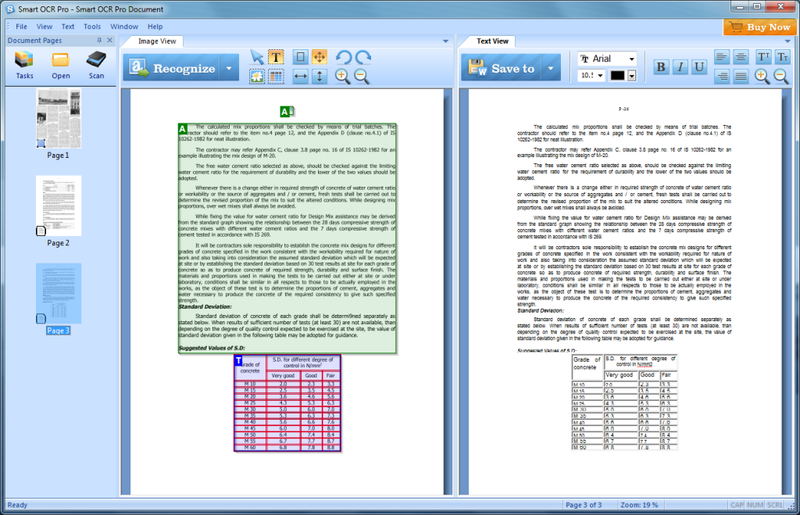 The main window of Smart OCR combines flexibility, functionality and clear design. 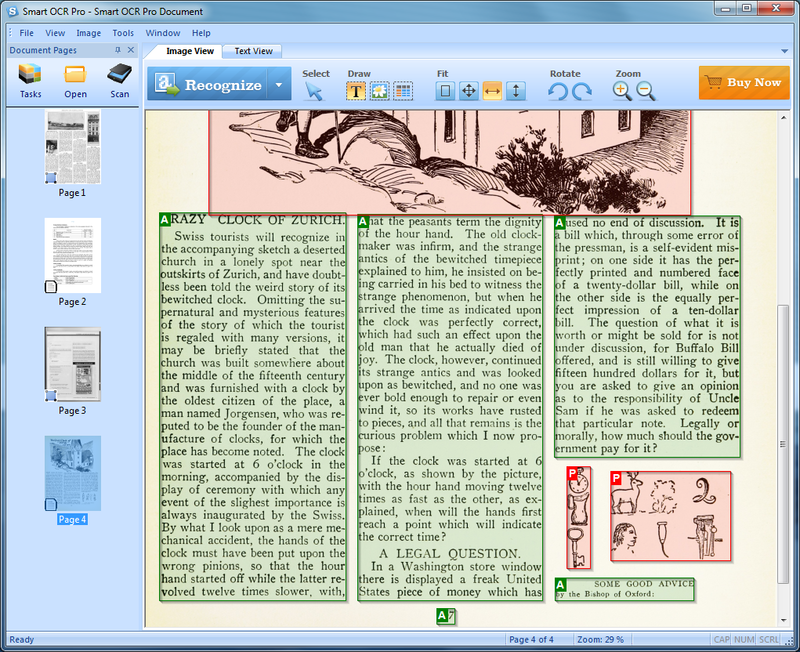 It consists of three major parts: Document Panel, Image View and Text View. 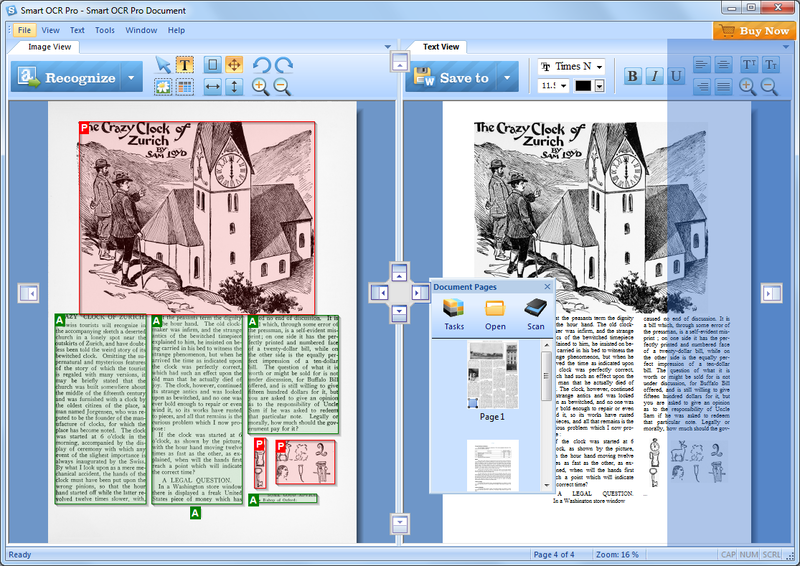 The flexibility of the Smart OCR user interface allows you to arrange these parts according to your needs. using the commands from Window menu. using the context menu of the view tabs - click with the right button of your mouse on the view tab to show this menu. using drag and drop technique on view tabs - drag the view tab with your mouse and drop on position of your choice. 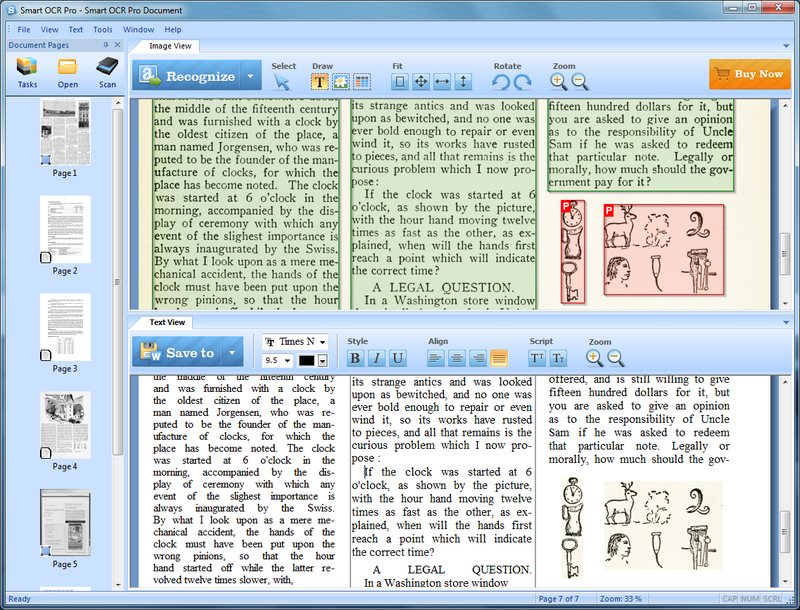 Except the three major parts, the main window of the application also contains a menu bar that intelligently changes its content depending on the active view. This helps you to focus on specific tasks and saves you a lot of time.